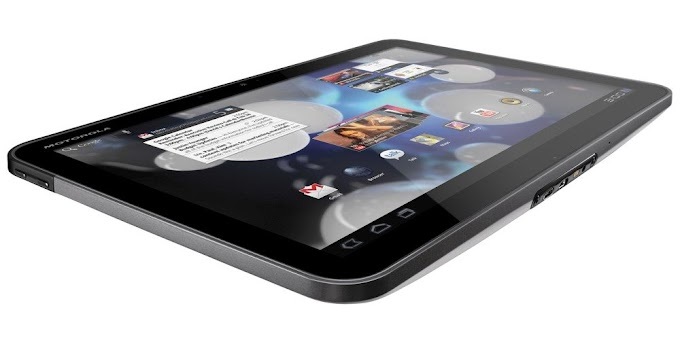 The Samsung Galaxy Tab 7.7 is set to receive the Android 4.0 Ice Cream Sandwich software update. The Motorola Xyboard 8.2 also started receiving the ICS update earlier this week, so it seams that Verizon is on a role. 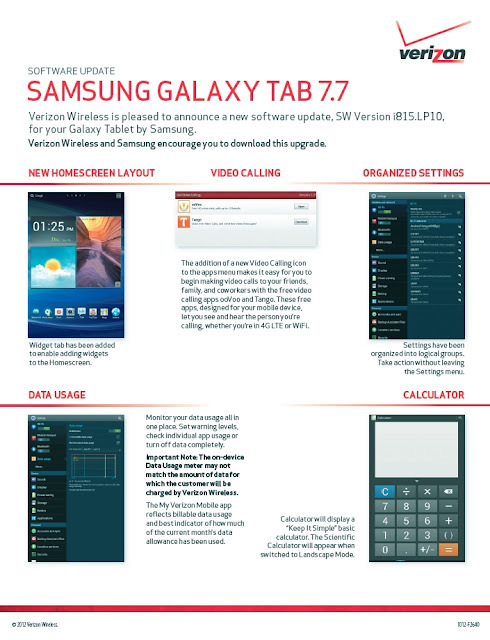 While the update for the Galaxy Tab 7.7 has still not started rolling out, the support documents have already been posted on the Verizon website, which can only indicate the update is not far off. 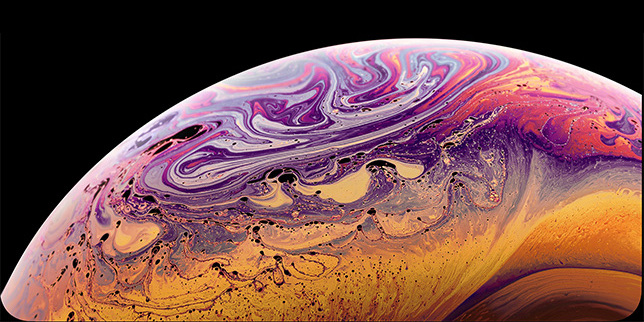 The update carriers the version PL10 is 238MB in size, so be sure you are connected to a Wi-Fi connection to avoid high data costs. You will be receiving all the updates you can expect with Ice Cream Sandwich including face unlock, pinch to zoom in the home screen and main menu, Google+ integration, an updated music app and a desktop view option for the included web browser. The new software also brings a new home screen layout, video calling which works over 4G LTE or Wi-Fi, improved settings layout, data usage monitor and a new calculator for portrait and landscape mode. 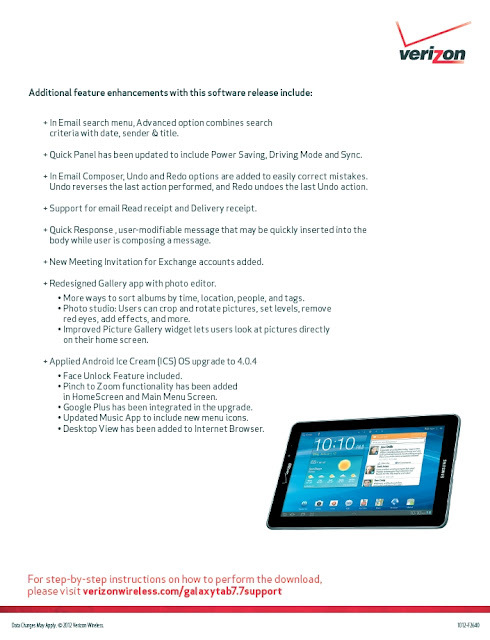 Other improvements include advanced email search, updated quick panel with power savings, driving mode and sync, undo and redo options when composing an email, read receipt and delivery receipt for email, quick response for messages, meeting invitation in Exchange and a redesigned gallery with a photo editor.